In 1993 my Uncle David and Aunt Diane stopped to look through the window of the old Brook & Williams’s printing shop in High Street, Barry, South Wales. 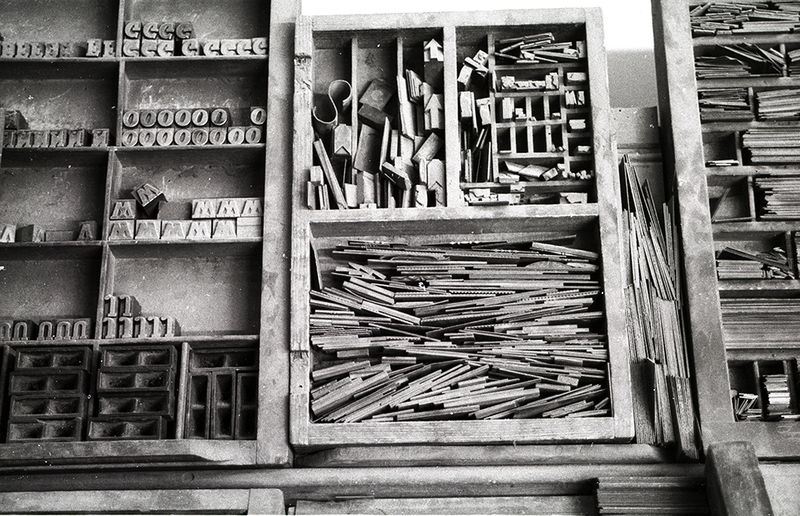 When they heard that the then owner was planning to sell the business, they had taken an interest, as it had been my great-grandfather’s print shop many years before, until he retired in 1946. 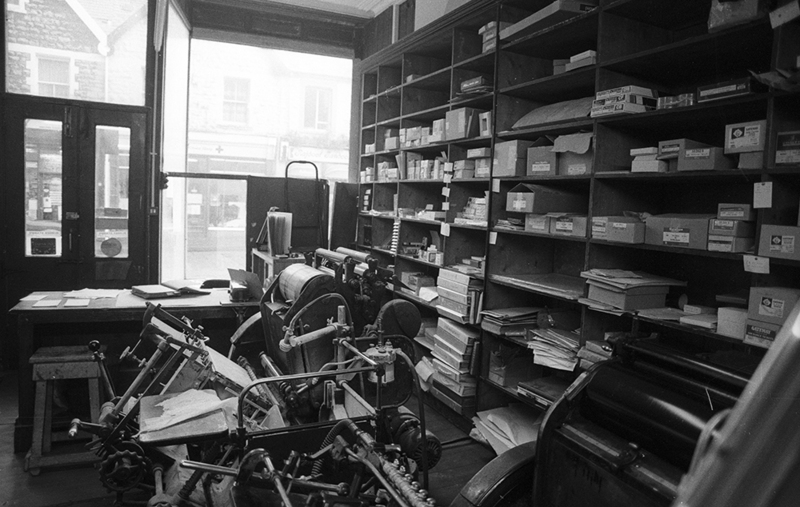 Originally they just planned to capture the moment and take a photograph of the exterior before it changed to a different shop, but as they peered through the window they realised that it was full of the original print shop fittings - font cases, counters and printing presses. They knew they had to photograph the interior of the shop before it was all sold off and split up. A gent called John Humphrys was still working there in 1993, having joined the business in 1943 as my great-grandfather’s (Charles Brook) apprentice. 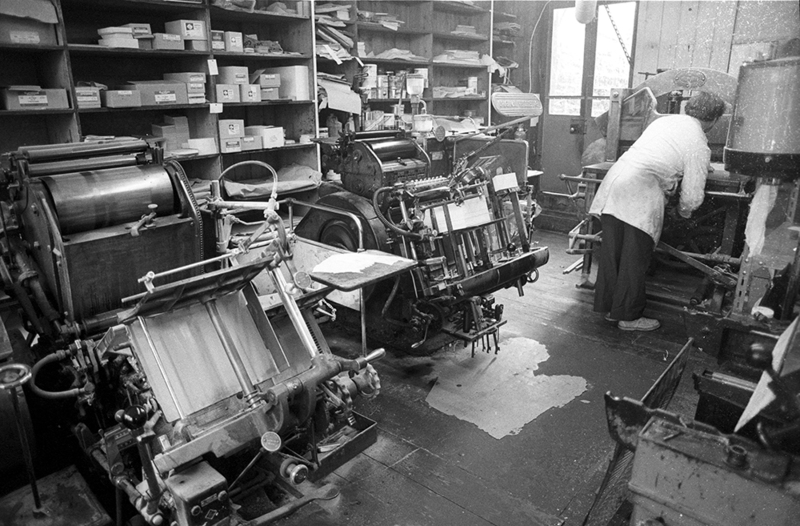 He remembered Charles chatting so much during the day that it then required them to work through night to finish the printing work. John Humphrys showed David and Diane many of the original fittings from 1890s: ledgers with pages surviving from Charles Brook’s time, the original stools and clock. 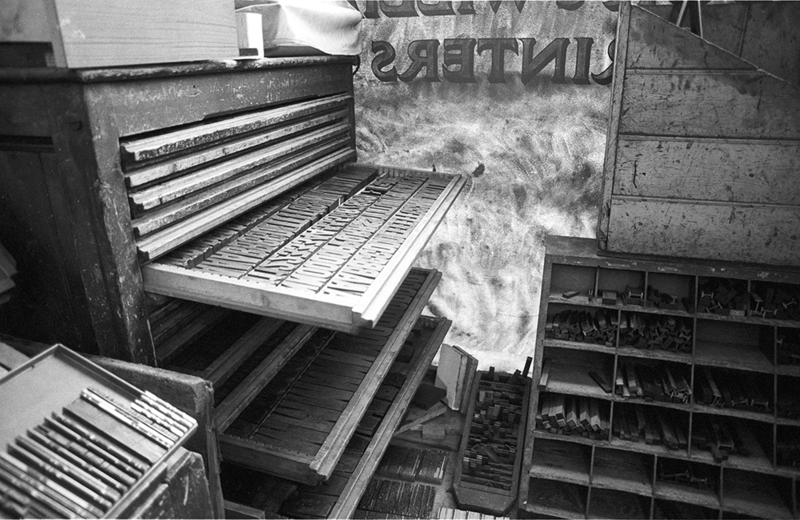 He also said that some of the presses had been replaced in 1950’s as work using the old letterpress machines was dwindling. Although none of the collection survives today (bar a few blocks that David was given as gifts), we’re grateful that David and Diane took such beautiful photos to record this little bit of printing history. 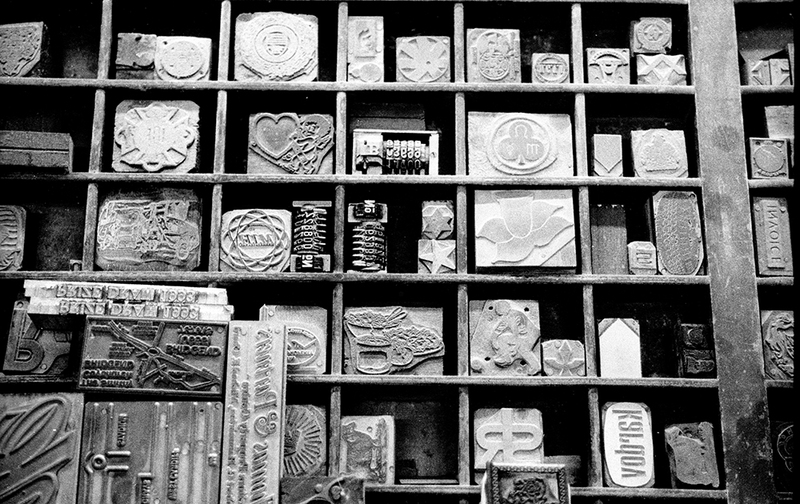 No one knew back when digital technology in printing started to take over that there would ever be such a resurgence in Letterpress and such a creative community using it to make great work.